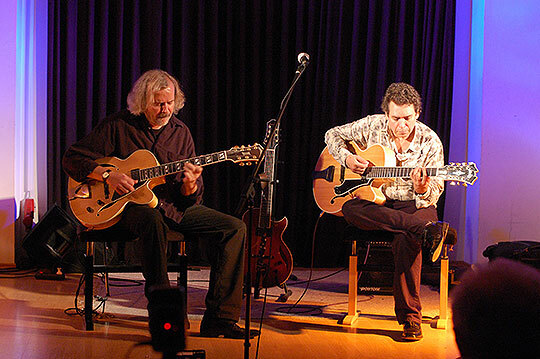 For over ten years, the highly popular Workshop for Jazz Guitar with Regensburg guitarist Helmut Nieberle was held regularly at Augsburg/Bavaria in spring. An exciting new precedent will be set in the year 2013 with the addition of two consummate musicians and seasoned instructors: 7-string guitar master Howard Alden and innovative vocalist Jeanne Gies. 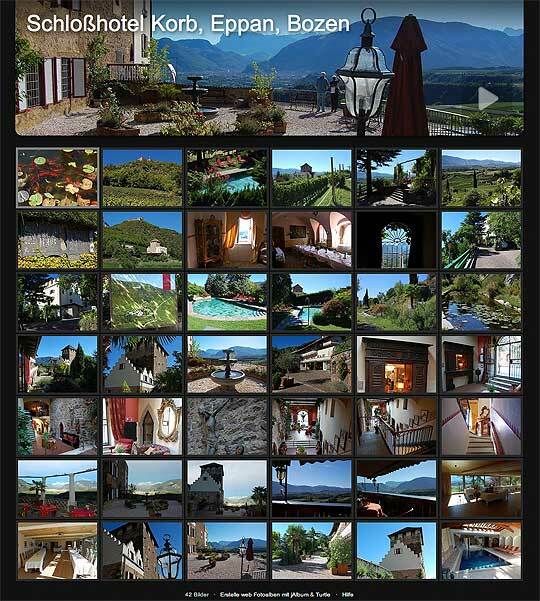 To add to the excitement, this amazing workshop will take place in the gorgeous setting of South Tyrol. Helmut Nieberle is a legend in Germany. Since 2002 Helmut has headed instruction for the workshops sponsored by the well-respected Sonntag Guitars. For decades Helmut has been on the road with the 7-string archtop. He is a talented soloist and excellent instructor. One glance at his website tells the scope and success of his musical career. We call Howard Alden playing duo with Helmut Nieberle a match made in heaven, and they have been touring together for over two years. This year we are lucky to add Howard's prodigious teaching skills to our roster. 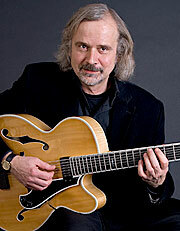 Howard Alden is recognized as a 7-string guitar master and has played with the biggest jazz icons of our generation. He is recognized as a 'modern maestro' by Downbeat magazine (in their review of top 75 guitarists – ever!). Howard is also responsible for the entire sound track of the Woody-Allen-movie 'Sweet and Lowdown' starring Sean Penn. Check out his website to get an overview of his many accomplishments. 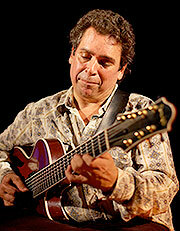 Howard Alden also taught at the 8th International Workshop for Jazz guitar in Provence 2011. A video of the Nieberle/Alden-duo. The combination of jazz guitar and voice has always been an intimate and magical art. 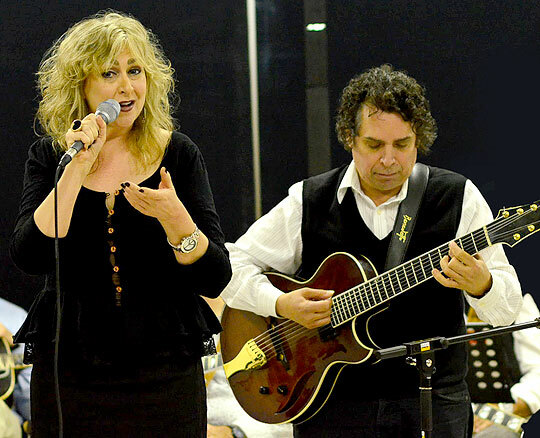 Acclaimed vocalist Jeanne Gies has performed and recorded as a duo with the greatest (Howard Alden, Russell Malone, and Bucky Pizzarelli, to name a few!). She has teamed with Alden to offer highly successful workshops for singers worldwide, and gotten rave reviews in Scotland, England and France. This year we include this vocal workshop designed to assist aspiring and professional vocalists in developing jazz vocal technique, singing style and repertoire. Singers of all levels of proficiency are welcome, those who play guitar and those who want to learn how to sing duo with great guitar players. This is a hands-on workshop: everybody sings! 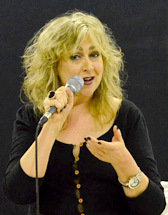 Jeanne’s unique educational background also assists singers for whom English is a second language. All will benefit from performing for and with these dynamic instructors. Following group workshops, students may sign up for one-on-one lessons to address individual interests. For more information, contact jeannegies@gmail.com. For the Jazzguitar course 2008 in Aigueze we are happy to offer an additional program exclusively for those accompanying course participants and for non-participants in general. The Yoga teacher, Gyrotonic trainer and professional dancer Anina von Molnar will conduct a Hatha Yoga course (suitable for all levels) that will take place each morning while the guitar course is running. Please contact Anina directly for enrolment and any further questions concerning course theme or other details: 0049 821/ 5080654.
afternoon sessions for Private Yoga training and Massage appointments are available upon request. The workshop will be accommodated at the stylish and classic Schloßhotel Korb at Eppan near Bozen, owned and run by the family Dellago for generations. 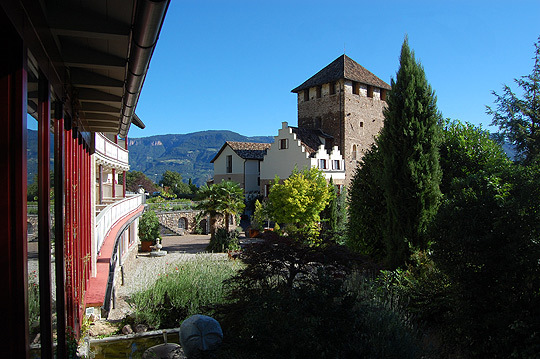 The hotel is situated in a marvelous position high above the Etsch river valley in the midst of vineyards which belong to the Family Dellago. The family runs its own winery there. 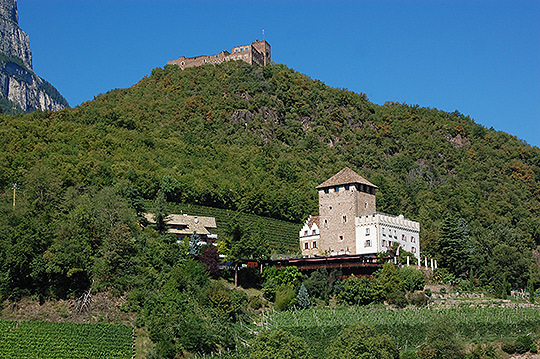 As the name implies ('schloss' means castle), one part of the hotel used to be an ancient castle dating back to the 13th century. In the course of the centuries various buildings were added, each room lovingly and tastefully furnished with respect for the rich history it represents. Guests can use one indoor pool with sauna and Turkish steam bath and one outdoor pool; tennis courts and WLAN also available. 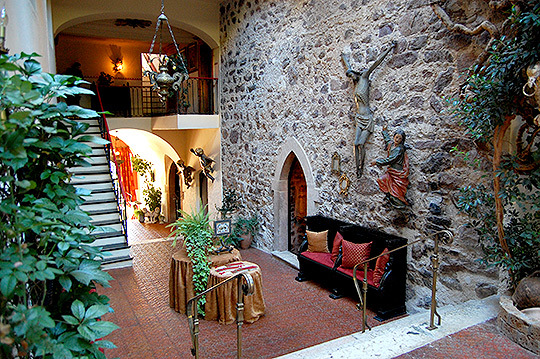 The restaurant serves exquisite cuisine, with attentive and professional stewards caring for the needs of the guests. For more details on the hotel please review their website. 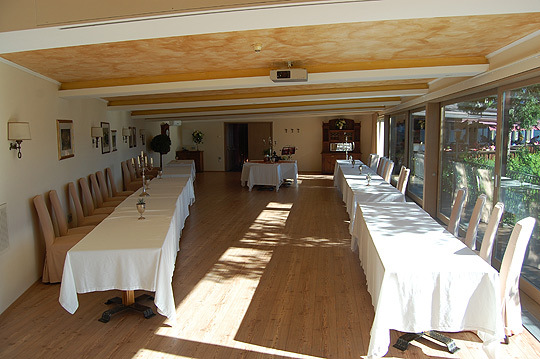 The lessons will be held in three seminar rooms, which are exclusively at our disposal during the four workshop days. With fair weather we have an option of studying outdoors on various terraces or parks. Hotel Korb offers pick up service from Bozen main station or airport for attendees who travel by public transportation. The hotel offers three room categories: suites for €155, renovated rooms for €115 and unrenovated rooms for €85. These prices include half-board without drinks. Choose your desired room category when registering. Rooms will be assigned in order of registration subject to availability. When booking please quote the keyword "Jazz-Workshop"
Lessons will take place from 10 a.m.- 1 p.m.
We will have two guitar groups, one with each tutor. Half way through the workshop the groups will change tutors. We will have one vocal group. Guitarists who are singers are invited to book individual lessons with Jeanne Gies. Instruction by Howard Alden and Jeanne Gies will be conducted in English. Everyone is invited to begin or join a session at any time. This is a non-judgmental, creative environment where all are encouraged to expand their musical minds and spirits. On the last evening of the workshop a valedictory concert is planned in which every participant is invited to take part (no obligation). Please bring a music stand and an amp if needed. Sonntag guitars will be available to view and sample. You will be entitled to attend the course only after receipt of your payment on the account of Stefan Sonntag.